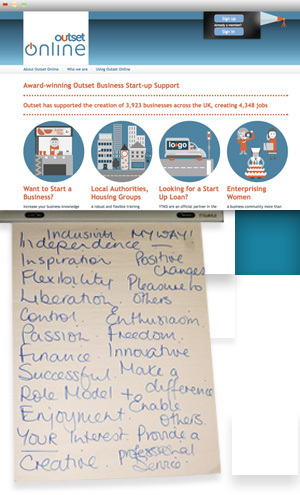 Outset Online is an interactive online learning tool that offers a huge range of content and tools designed to support you on your business start-up journey. the steps to starting up you own business: from initiating and refining your ideas and identifying your customers and competitors, to figuring out your marketing strategy and helping you plan your finances. As you navigate through each stage, you can put your learning into practice with a range of activities and exercises that help you construct a ready-made business plan. 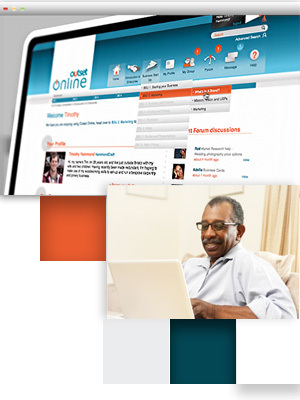 Best of all, Outset Online also offers user forums filled with mentors, advisors and other business owners to ensure that you have access to both formal and informal peer support on your journey. Although, valued at £500, 12-months access to Outset Online costs just £85+VAT. Whether it’s about pursuing a passion, taking control of your life, supporting you family or trying something new, Outset Online gives you the tools to turn your idea into a strong, sustainable and successful business. 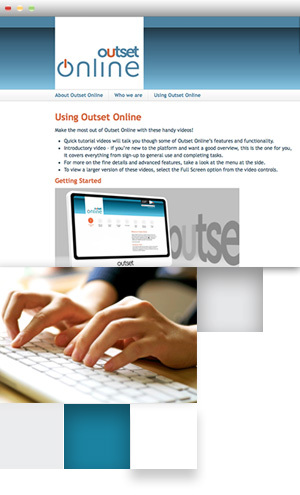 Outset Online is designed to be flexible so you don’t have to be. No matter what pressures are on your time or mobility, you can still get essential business support anywhere, anytime – you just need access to the internet. Our user forums are filled with other business owners plus a range of mentors and advisors with whom you can brainstorm, network, trade stories and seek advice as you progress through your business journey. By completing a range of activities as you work through each stage, you’ll create an exportable business plan that you can use to guide your decisions, apply for finance or track the progress of your business as you go. We have over 140 video tutorials that help you navigate each stage of starting a business, plus a range of useful online calculators and tools that take the pain out of planning and managing your business finances. When you login to Outset Online, you can create a user profile in which you can share as much or as little information about you and your business as you like, helping you network with other people on the platform. The first stage of Outset Online is all about helping you decide whether starting a business is really for you. We provide a basic understanding of business principles like start-up costs, how to conduct market research and why it’s so important, and tips for identifying who your customers are. We also include some personal development advice and theory. We try to help you figure out what your strengths are to support you in making the most of the opportunities around you. The second stage of Outset Online is a more intensive stage that focuses on core business principles that require a little bit more effort to complete. We’ve stepped up the tone and focus here in order to build upon the basic principles we covered in ‘Introduction to Enterprise’. This is where we get down to the nitty-gritty of business planning, including how to structure your company, tax advice, financial spreadsheets and how to price your product or service. By completing the steps included in this stage, you will automatically build yourself a business plan, which you can later print or export as a PDF – something you’ll need if you’re planning on applying for a Start Up Loan or other finance.